Well... It's been around 6 months! I've come to realize that I am the worst at updating my blog. Or, we could say, that I was so caught up in living in the moment during these last few months, that I forgot to write it all down. Either works for me. But needless to say, the BH Blog is in serious need of an update, so I present to you, The Catch Up: Part 1. 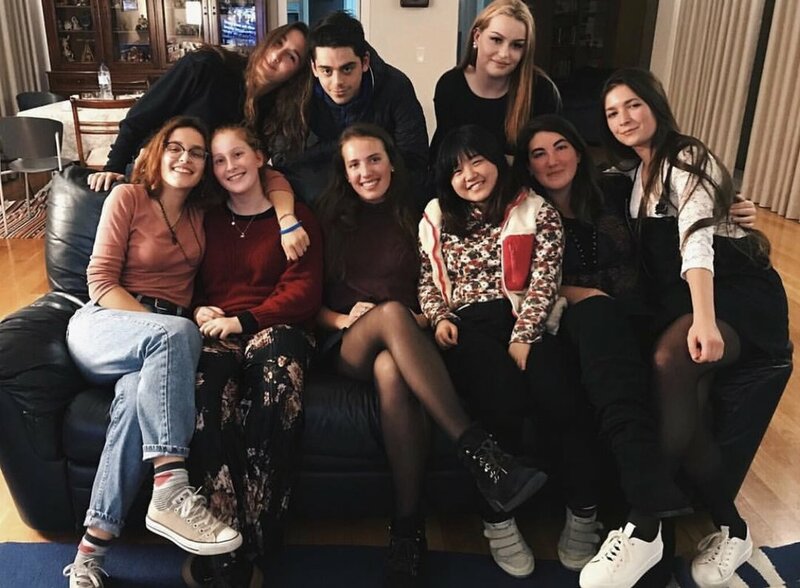 My exchange friends and I! 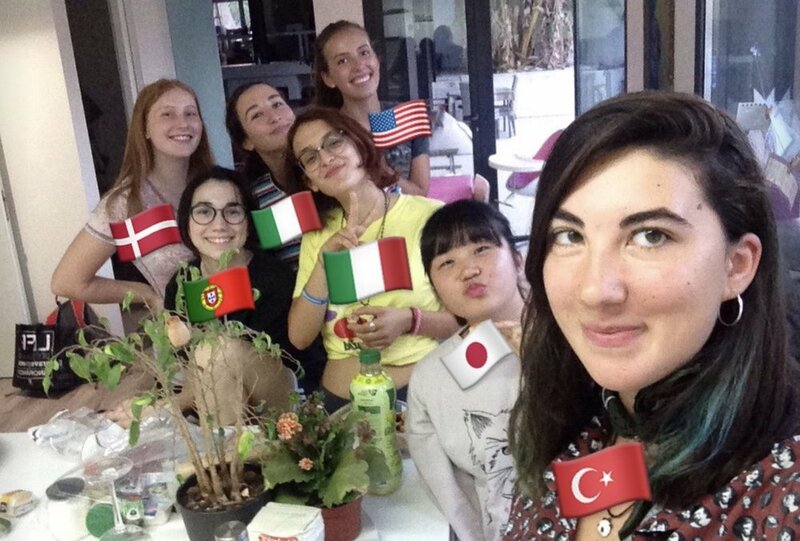 Irem from Turkey, Ayaka from Japan, Viola & Roberta from Italy, Anna-Sofie from Denmark and Ana from Portugal. We had an "intercultural dinner", so we each made a different dish from our countries. I had to make chocolate chip cookies, they've always been my go-to here! The Batalha Monastery... The architecture on this thing was breathtaking. Surfing lessons in Peniche, Portugal with Roberta! This was our instructor :) It was such a cool experience because a week after we surfed there, the WSL World Championships were held there! And no, Roberta and I didn't surf those waves... Though we definitely could have handled it (not), we stayed towards the shore and hit the little breakers. My super cute Italian friend, Viola. Literally some of the best Gelado I've had. The guy who makes it moved here from Italy, so when I go there, my Italian friends all start speaking Italian with him. So I get my ice cream, sit back and pretend I know whatever the heck they're talking about!!! Leiria city! One of my favorite spots. In October it was a little warmer than it is now, so I'd go sit on this bench and take in the view. I study arts here, so we are constantly sketching, and this is the perfect spot for it. The best surprise ever! Went out to eat with Roberta's host family, and they surprised us with an American restaurant that serves Thanksgiving dinner! It was the absolute best. And it was Rob's first Thanksgiving! Some of the AFS gals and I :) Italy, Faroe Islands, Norway, Dominican Republic and India. Finally finally finally got to meet Inês! We actually met from Instagram before I came to Portugal. We skyped all the time, and she taught me my first Portuguese words, as well as things about the country. It was the craziest and best thing to see her in person. She studies marketing in Lisbon, so she always has these amazing ideas for By Hollis and is just an overall super cool person. Anyways, this was our first pic !!! Took this while on a run. This is where I live, Alcogulhe, Portugal, right outside of Leiria city. Such a breathtaking place. 2017 was quite the year. Ending it in Portugal with such great people made it that much better. Coming Soon: The Catch-Up: Part 2!